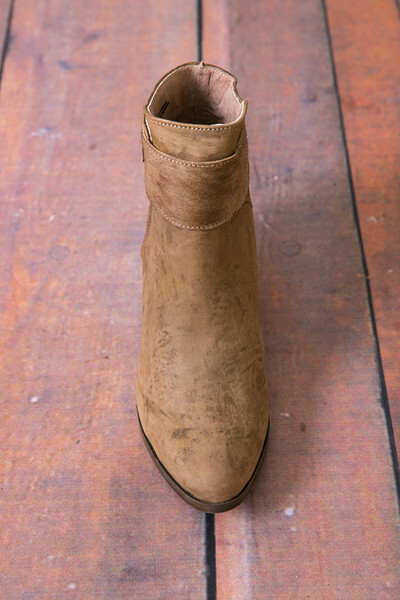 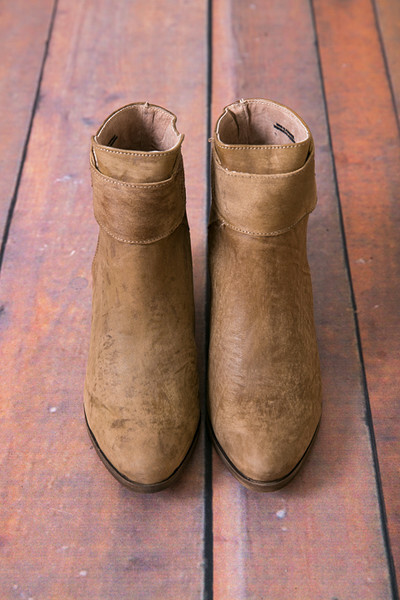 The Belleville Ankle Boot by Free People is made from mottled leather and will take you through any season. 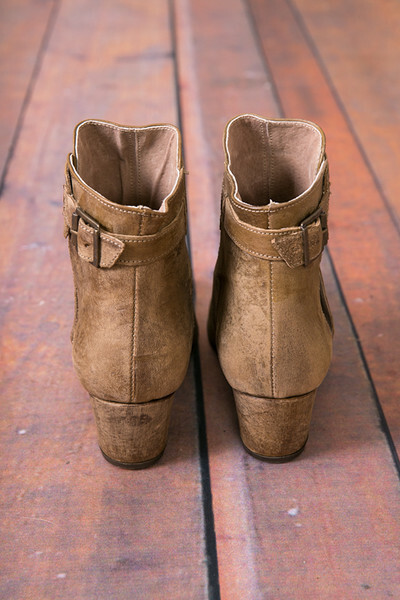 The little side peep and the distressing give these booties added detailing along with vintage appeal. 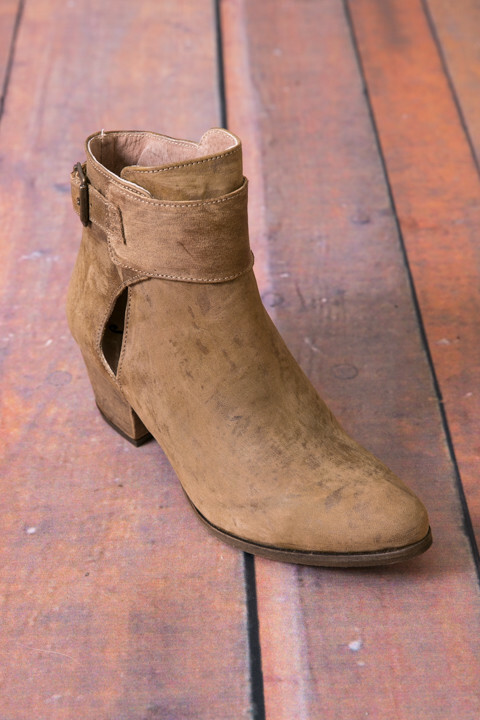 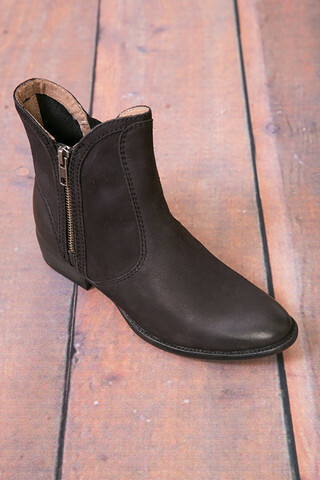 A buckled strap cinches around the ankle for ease of wear.